Enough with the cavalier attitude. Every time we here that disgusting call sign on the radio we all die inside. My "jumpseat" will never be open to the "26". I don't know for sure but I'm guessing your medical benefits plan covers some form of anger management. You should probably avail yourself. Out of curiosity, does anyone know where Encore pilots fit into this mess? Just saw a fresh ad on indeed.ca today for Swoop FOs. What’s the deal with that? Arbitrator stated WJ could open the Swoop ad on June 12 in case no pilots bid the position, that would allow Swoop to hire OTS - only if the positions are not filled internally. Clear as day in the Interim Order. This was expected weeks ago. This is from 2 months ago, but shouldn't any unfilled Swoop spots be offered to Encore pilots before they go OTS? The Swoop spots are being offered to Encore pilots before it goes OTS. It’s been that way since the middle of June. I don’t believe we can bid on the Captain bypass positions though. From the Encore side, let’s just say that we are playing with the cards that we are dealt. Somebody that makes a little more than me decides how many of our guys they want to let flow to swoop/mainline, and it doesn’t always line up with the open spots as they come up. Another shyte mess is the many friends of mine that want to bid for spot as captain at swoop from encore, because of their previous time on type (73 and on bigger Boeings). But alas, that is no option for us. Flow to an FO spot it is, when ever they feel like sending us. We are keeping our heads up, hopefully the flood gates of WJ will open by late next year. Nevertheless, the flood gates of AC will. What is happening at Swoop these days? I saw through social media that an acquaintance of mine, a Captain at Encore, is headed to Swoop. Are all Swoop positions being filled internally now through Encore and WS mainline? Since the arbitration began, has there been any changes in the pay or working conditions? Are guys being paid at the WS rate or still the abysmal pay that was announced originally? Isn’t 1 September when the arbitrator gives his determination? Sept 9th is the last day of scheduled mediated bargaining. After that the mediator will decide on outstanding issues. ‘The WestJet Group’ has recently applied for a more formal arbitration process though that could slow the process down somewhat. It’s the same arbitrator though regardless of the process used. So the ruling may be later September, or even October now depending on if he lets them use the more formal process. They did not apply... The company stated they May elect to do the formal process. Maybe I am mistaken, but I thought it was ultimately up to Mr. Kaplan if they are able to or not. Your correct. But the company would have to apply first which would probably happen on the 7th then Kaplan decides ya or nay. Then company can appeal if Kaplan denies it. More time goes by. Well shall see this weekend how it goes. This formal process is foreign to me except what Alpa mec has said which is where I got the info from. Oh, thanks for the clarification. Hopefully this gets wound up sooner than later. The formal process sounds like it’s foreign to the ALPA MEC as well......what a joke this is becoming! We’re going to be lucky to come out of this with what we have. We aren’t any further ahead then we were a year ago. Keep trolling. We already made significant gains over what the WJPA was able to get us. I’ll bite...what exactly are those gains? I made $399,400 in 2917 and I worked 12 days between May 13 and Aug 12 of this year. Tell me how my work life gets better. Not everyone is able to drop their entire schedule and rely solely on OT to prop up their T4. No one will be able to with the introduction of reserve. Don’t forget that 40% of that is now worth 50% less. WJ is years away from being able to staff any sort of reserve system. 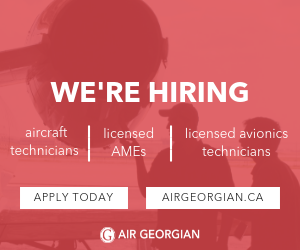 The supply of pilots in Canada isn’t enough to support AC’s hiring let alone WestJets hiring forecast (and that’s without reserve). This isn’t about just you. Figure it out already. Every day you post I thank gawd there are people out there who care about others and this industry. Just callin it like it is. I get it now. Weedpro is able to exploit a loophole in the scheduling and OT rules. Now that his specific gravy train is ending, he is throwing an internet hissy fit. Too bad the world doesn't revolve around him, and 95% of westjet pilots are seeing improvements with ALPA. He's just too ignorant to notice (or too arrogant to care). yes the days of $400k t4s are coming to an end once the reserve thing takes hold and while I do agree it won’t be a switch thrown overnight, it will be happening. Westjet applied for formal yesterday which is no shock but we also have a delay now but we have an agreement in 2018 now by December 31st. So staying calm and watching this play out will be the way it is for next 3 months. At least this has some finality to it now with timelines. That's my belief too, that my high pay days are over. I think that there will still be OT to be had (reserve won't cover all of the company's requirement), but it will likely come with triggers (that don't exist now) and I'm not confident that pilots will have the ability to trade away their entire schedule as exists today. to create room for OT flying. My contention all along has been that an ALPA contract would mean less money for me, along the order of $80,000 to $100,000 per year, and would mean less schedule flexibility. The only thing that could possibly be a benefit, to me, is seniority scheduling, which I hear is not on the table. Everything else that ALPA negotiates is not of interest or consequence, to me. That said, I'm off to China in two days for CAAC ATPL exam, medical, and company interview. It is not my first choice, and I'm on the fence as to whether I'll take the job (if offered), but I'd like to have options in case my predictions above really do come true. And if nothing works out either way, I'll just go jump off a bridge or a cliff. Your work life is going to get worse fuckface. It’s in your best interests to start looking for a part time gig to supplement the wingnut project, your travels, and your alimony. No longer will you be able to drop your sched, word is out and Allah willing, pilots will no longer grab your dropped scheds. And since you’re always harping about grammar, let’s talk about your ability to travel in time to 2917 and make those big gains shall we? You’re the terminator in reverse, with way less muscle, puny actually. Do you even lift? You’re a truculent bellicose dickhead. First point: I am not truculent. Ad hominem attacks aside. If you're a YVR based pilot, I'd be more than a little bit concerned. While it is true that ALPA has negotiated a reserve system that stipulates that no one in their current position will be forced to hold reserve, that statement needs some context. YVR pilots at WJ have the highest book off rate per capita in the WJ pilot population. They also have the lowest rate per capita of picking up OT shifts that need coverage. My guess, and this is pure speculation, once the new contract is signed, WJ will close the YVR NG (base for pilots). Those pilots will then be forced to bid for another base (YYC or YYZ), and then because they no longer have grandfather protection, they will then be eligible to hold reserve (albeit in a reverse call out scenario). And regarding the YOS that ALPA is trumpeting: my sources deep within the organization are telling me that the payscale has been spread out and lengthened. That will dampen some of the perceived gains. Regarding Swoop T's & C's, I think the arbitrator is going to lean heavily toward the company's arguments. I doubt that the next quarterly results are going to be awe inspiring, and I beleieve that this will colour the decision. It goes without saying that I believe that with a strike vote no longer the nuclear threat that some thought it would be (even WITH a Liberal government), ALPA's tool box is packed with vapourware. Anyhoo, have fun being so evidently angered, triggered, and unhappy. Me? I'm happy every day I go to work. Sure, the ALPA lanyards make me puke a little inside each time I see them, but I get over it. Life is way too short to be unhappy. Take care, dude. Odds are I'm staying put. I'm headed to China for a look see. Six WJ Captains (including yours truly) carried out the sim eval in July in YUL. Four passed. I'll be sure to pass on your observations to the ones I'm headed over with. The YVR base closure rumour has been circulating for years. With the introduction of WB flying, I'd be willing to wager YVR will grow and YYC will shrink. We all know where the the money is these days and YVR is the gateway to that. I was thinking along this line as well but I just can’t see them being able to extend the payscales. It’s that beaten dog syndrome, after years of the company pinching pennies, what’s the catch. The reason I don’t see it. I have heard the arbitrator is comparing us to AC and Rouge. Their pay scale is 12 years I believe. In fact, I researched all airlines in Canada and I can’t find any with payscales longer then 12 years. Transat was 10. So why would they arbitrator give us a longer payscale than any airline currently operating in North America. Doesn’t make sense to me. I guess we will see.